There’s something about a Bank Holiday that always puts us in a good mood. Maybe that extra morning lie-in has something to do with it? Whatever it is, we want this one to be equally as enjoyable so we’ve put together a list of all the essentials needed to make your weekend unforgettable! Heading abroad or down the country? Cocoon’s Grid It! Organiser is the perfect travel companion that keeps your most important personal belongings in one place. Consisting of a unique weave of rubberised elastic bands designed specifically to store your digital devices and personal items in place, Grid It! is ideal for holding headphones, chargers, cameras, cords, and other personal objects. Whether you plan on spending the Bank Holiday weekend travelling or relaxing at home, a good pair of headphones is necessary for enjoying your music alone or on the go. These M500 Hi-Fi headphones from KEF are lightweight and comfortable and have been carefully designed for individuals who are serious about sound. Compatible with most smartphones and computers, they also come with a matching case for added protection. Featuring an updated durable design, the Joby Griptight Mount PRO is the perfect companion for your smartphone when you’re out and about. This premium clamping mount fits any smartphone with or without a case, and offers a robust, locking and rotating solution , allowing for a more optimal set-up of photos and videos. Keeping the children entertained on weekends is hard enough, never mind bank holidays and mid-terms! With Osmo for iPad, you don’t have to worry. Osmo is a unique gaming accessory for the iPad that comes with games that will change the way your child plays. Simply attach the included reflector and stand to your iPad, and watch your child’s imagination come to life! Osmo works with all iPads, including the iPad Mini and iPad 2. An extra day off work means an extra day to head outside and take incredible photos and create new memories. 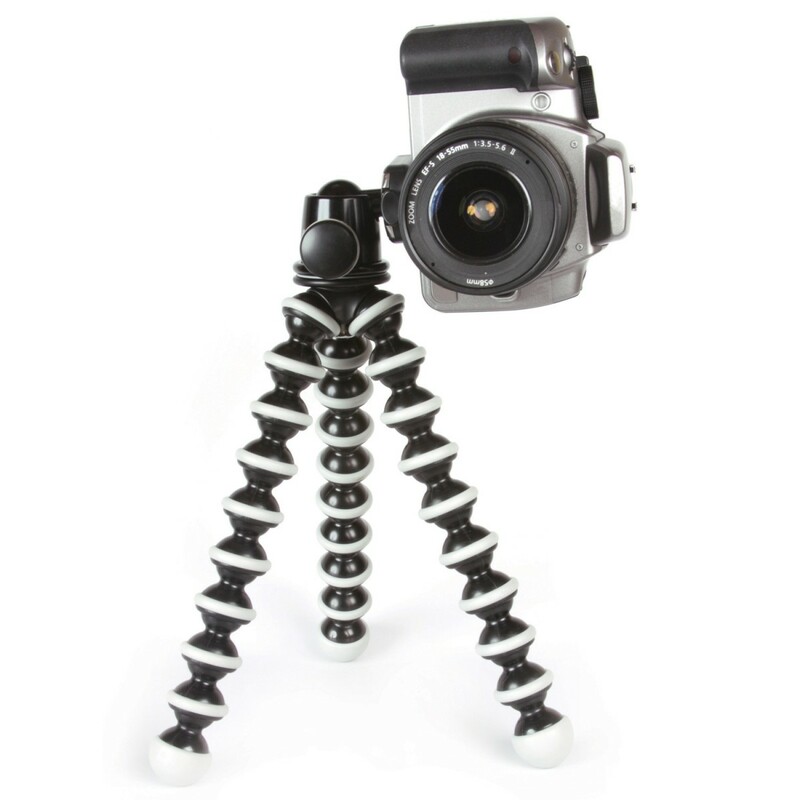 For budding photographers, the Joby Gorillapod SLR Zoom Tripod is a must have. Easily achieve pro-grade shots for beautifully polished video with your DSLR, phone or GoPro. Create sliding shots that pull objects into focus, rolling shots that glide over top of objects, or 360° rotating shots—all without expensive, heavy equipment or a big camera crew. The tripod’s flexible legs means that it can easily wrap itself around trees and poles allowing you to get even more creative. The tripod is also lightweight and portable which means that you can take it with you wherever you go! Want to find out more? All of the products featured above are available now on our website.